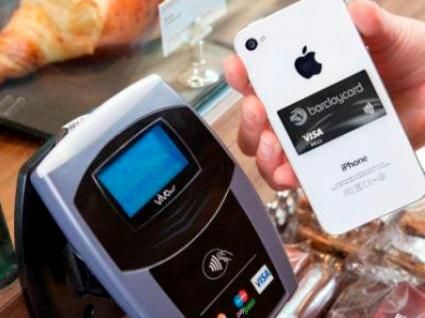 The UK credit card company, Barclaycard are rolling out their PayTag NFC stickers to millions of customers in the hope they will attach them to their phones. The company has already been sending them to a selected few, but the recent announcement will see that scaled up to significantly more customers. But is this a good thing for mobile NFC? This could certainly be a good way to introduce users to tapping their phone in to an NFC terminal to make a payment. However, unlike mobile embedded NFC the PayTags are essentially dumb chips that do not link to the the phone and have limited capabilities. Currently that capability is a £15 payment (rising to £20 in June). Native NFC is capable of doing so much more. It can link to a website, launch a video, add loyalty points, be used for event or transport ticketing. In the UK the major supermarkets are rolling out NFC terminals as well as commitments from Transport for London to include mobile ticketing in their contactless system. The danger with PayTags is that it does not benefit the user significantly enough to encourage mass adoption of NFC. What future does QR have? Apps such as Blippar and Aurasma approach it through image recognition of a photo or logo. But what if the item doesn’t have a logo? How about just recognising the object itself? This Japanese supermarket uses some new clever tech that can differentiate objects and scan them instantly. It is so good, it can even distinguish different types of (similar-looking) apples. Maybe one day we’ll be getting these on our mobiles. 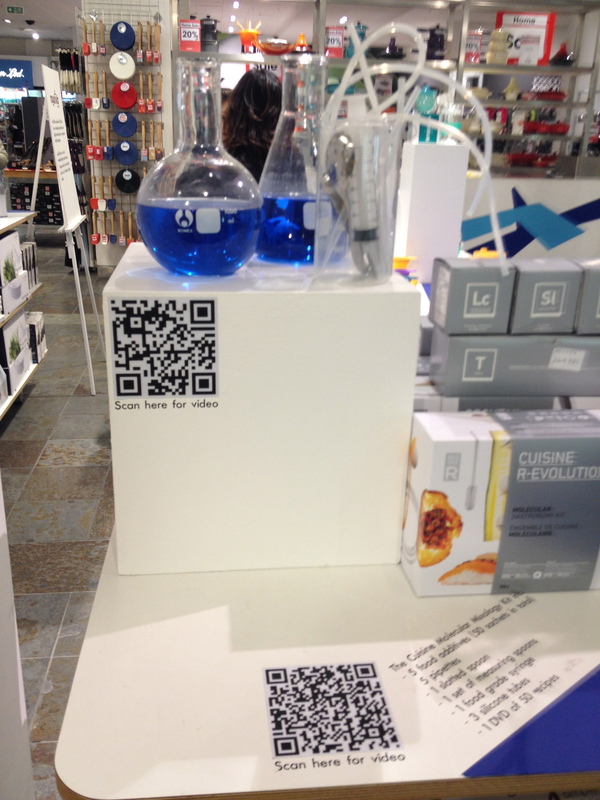 Perhaps it isn’t the most original of uses, but here’s an example of QR being used well. This is a point of sale display for a molecular cooking set (yes, thanks to the Heston Blumenthal influence they really do make these). I have previously blogged about the need to get the context, engagement and targeting right for QR. This meets all those requirements. The QR code is used is nice and large, on a high contrast background. There’s plenty of dwell time as it’s in the kitchen department of Selfridges where people spend plenty of time. The engagement is pretty good, as it links to a useful video to explain how this new product works. It’s also well targeted. Those interested in molecular cooking are likely to be techie, probably have smartphones and will probably bother to scan the code. Now that smartphones are becoming ubiquitous, there is plenty of evidence that consumers are using their devices to check prices, availability and other information. Many retailers and retail brands are missing out as they are largely failing to engage with these users. This is an example of how that engagement could be done.